Whether chronic or acute, neck and back pain can have an incredible impact on your life, keeping you from performing the simplest of tasks. 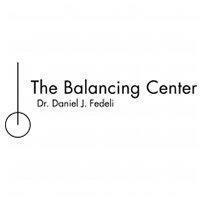 If you'd like to regain the liberty of pain-free movement, Daniel Fedeli, DC, PC, and his team offer cutting-edge approaches that restore the quality of life to their patients in the Gold Coast area of Chicago. To get relief, call The Balancing Center, or use the handy online booking tool to schedule an appointment. While this list is by no means comprehensive, it touches on the most common neck and back issues. What are the treatments for neck and back pain? If you’re experiencing neck or back pain, it makes sense to seek out the help of those who have studied the intricacies of the spine and its effect on your body’s systems, like the doctors at The Balancing Center. In fact, there’s little that isn’t affected by your spine in one way or another as it provides support, mobility, and passage for your nervous system. The National Upper Cervical Chiropractic Association devised a technique that focuses on your uppermost vertebra, the Atlas, with the knowledge that this small vertebra plays a critical role in the overall function of your spine as the liaison between your brain and your spine. By restoring full function and alignment to this area using mathematical calculations, it has a widespread balancing effect over all of your body’s musculoskeletal and nervous systems. Bio Energetic Synchronization Technique, or BEST, is a procedure designed to reactivate and rebalance your natural healing systems, which may be working inefficiently. The Neuro Emotional Technique, or NET, is a technique that’s designed to ferret out stressors that activate your nervous system. FMP, or Foundational Movement Practices, are a series of exercises that correct your posture and alignment, enabling your body to function without pain. On top of these treatments, your doctor shows you how exercise and yoga can help maintain your neck and back health. If neck or back pain is keeping you from enjoying your life, call the experts at The Balancing Center, or schedule a consultation using the online booking tool.